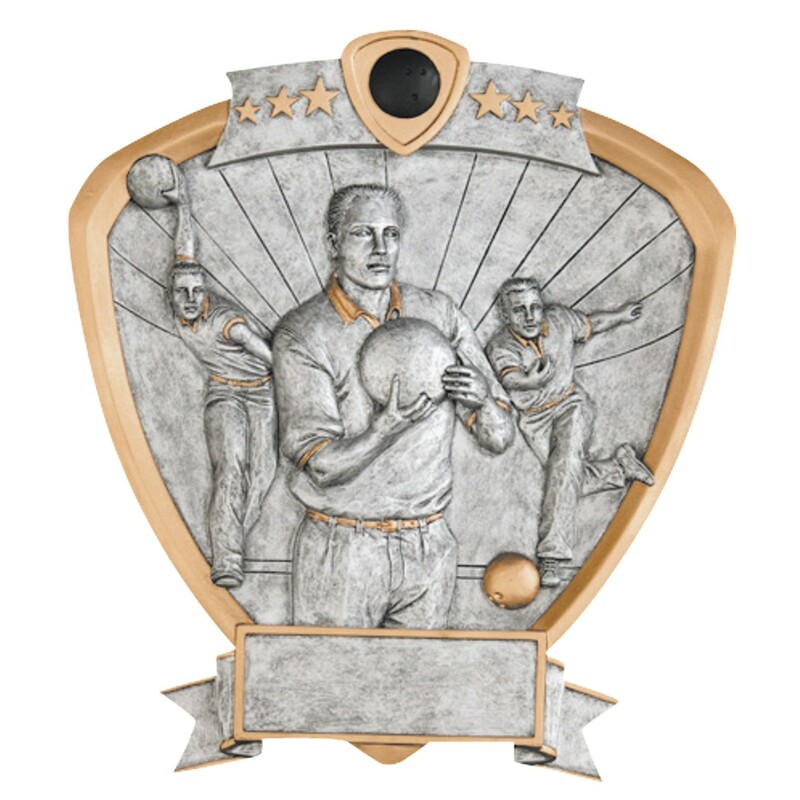 Our versatile Male Bowling Shield Award makes a great prize for your bowling league! Made of silver resin, this award features three male bowlers in action with gold accents. With the look of a plaque, this bowling award can be either hung on a wall or displayed on a desk by attaching the included metal rod. Measures 8.5" tall by 8" wide. Now on SALE! Quantities limited, check for availability.